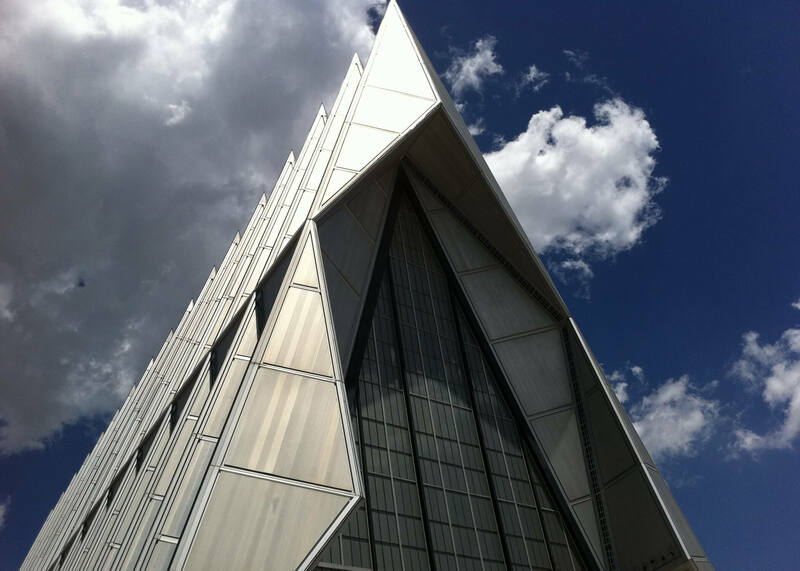 The Cadet Chapel is both the most recognizable building at the U.S. Air Force Academy and the most visited man-made tourist attraction in Colorado. This aluminum, glass and steel structure features 17 spires that shoot 150 feet into the sky. It is considered among the most beautiful examples of modern American academic architecture. The Cadet Chapel serves as an all-faith center of worship for cadets and includes Protestant, Catholic, Jewish and Buddhist chapels, an All-Faiths Room, and a Falcon Circle, each with its own entrance. The Chapel is capable of holding services in all rooms at one time. Visitor hours of operation for the Cadet Chapel are 9:30 a.m. to 4:30 p.m., Monday through Saturday and 1:00 p.m. to 4:30 p.m. on Sunday. The Cadet Chapel is closed on Thanksgiving, Christmas and New Year’s Day. In addition to the main office in Sijan Hall, chaplains and chaplain assistants are also assigned to each of the four cadet groups with offices in those respective groups within the two dormitories. Chaplains provide all cadets with daily opportunities for worship, regular visitation within the cadet-training areas and are available to provide confidential counseling and mentorship. 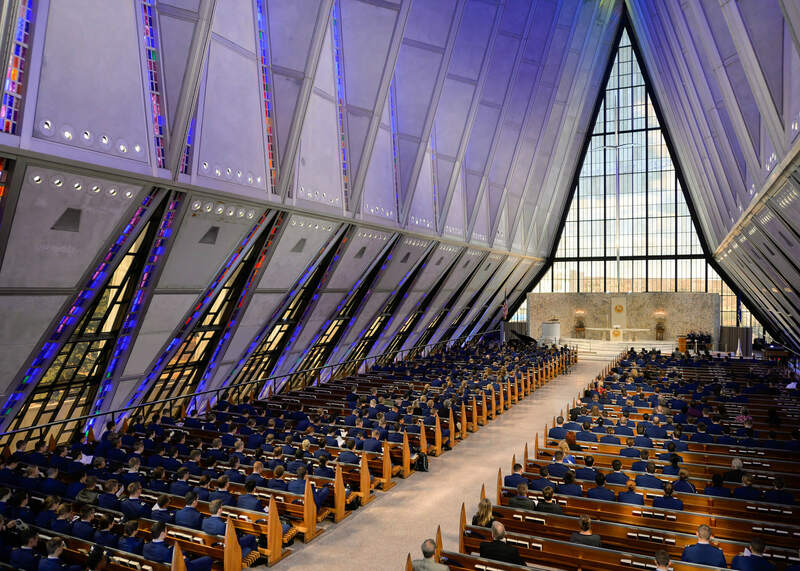 Home to a variety of faith communities, the Cadet Chapel also hosts Special Programs in Religious Education (SPIRE), the largest religious education program within the Air Force. Currently SPIRE hosts 14 groups from seven distinct faith backgrounds. Led by qualified and gifted instructors, SPIRE groups meet weekly in a casual environment to focus on spiritual formation and character development. These groups also offer times of worship, community building activities, spiritual retreats and mentorship. The Cadet Inter-Religious Council (CIRC) is comprised of cadet representatives from different faith backgrounds who focus on religious education and discussion across the Cadet Wing. 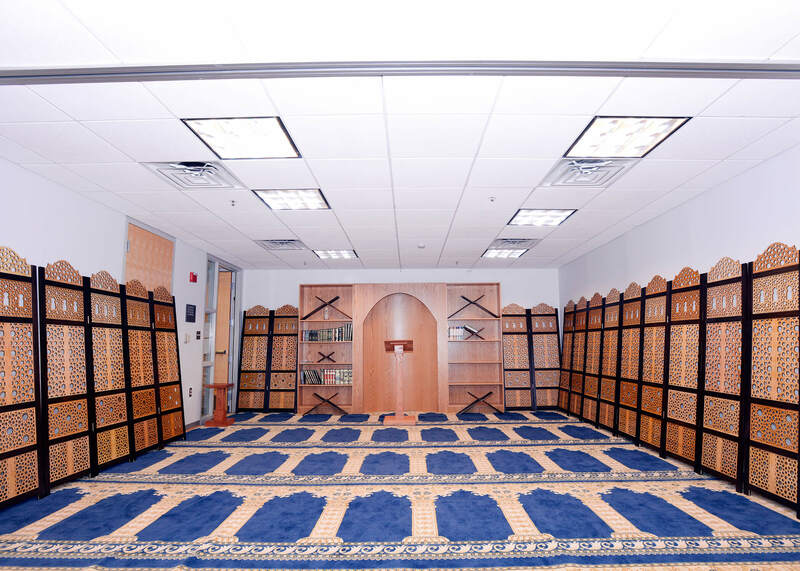 Their mission is to build trust, respect and community through cadets of different faiths and beliefs to ensure the religious needs of Academy cadets are accommodated to the fullest extent possible. Currently, the CIRC is made up of 16 cadets from nine religions, who provide interfaith opportunities and help educate and model religious respect. Graduates of the U.S. Air Force Academy, U.S. Military Academy, U.S. Naval Academy, U.S. Coast Guard Academy and U.S. Merchant Marine Academy. Active duty personnel currently assigned to the U.S. Air Force Academy and active duty Air Force personnel stationed in the local area to include Buckley Air Force Base, Colo. Dependents of active duty personnel currently assigned to the USAFA who hold a valid military dependent ID card on the day of the wedding. Purple Heart recipients and Silver Star recipients and above. ID card holding dependents of service members killed in action. For more information and questions, please contact Pete Peterson at 719 333-4515. Online donations to the US Air Force Academy Cadet Chapel and the various Cadet Faith Group Programs/Services can be made via the Chapel Tithes & Offerings Fund Electronic Donations Page. 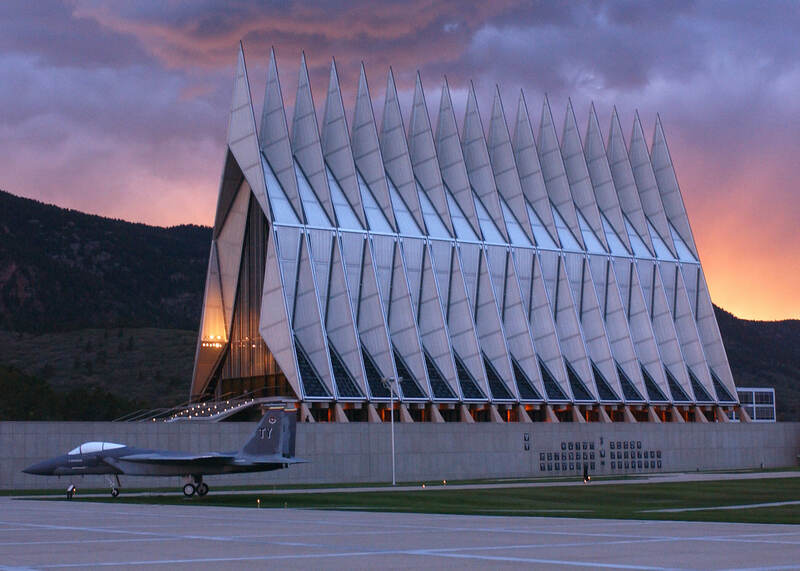 Choose USAF Academy at the bottom and select AFA Cadet Chapel. Use the drop down arrow to make your selection. Your donations support the Cadet Chapel Corps provision for the free exercise of religion and spiritual care for cadets. United States Air Force Academy cadets are truly a diverse group of future leaders – young men and women from different family backgrounds, states and countries, ethnic groups and a variety of religious faiths and beliefs. Supported by the Air Force Chaplain Corps, cadets come to thrive in this setting and live out the enduring values of respect, magnanimity and human dignity for all. 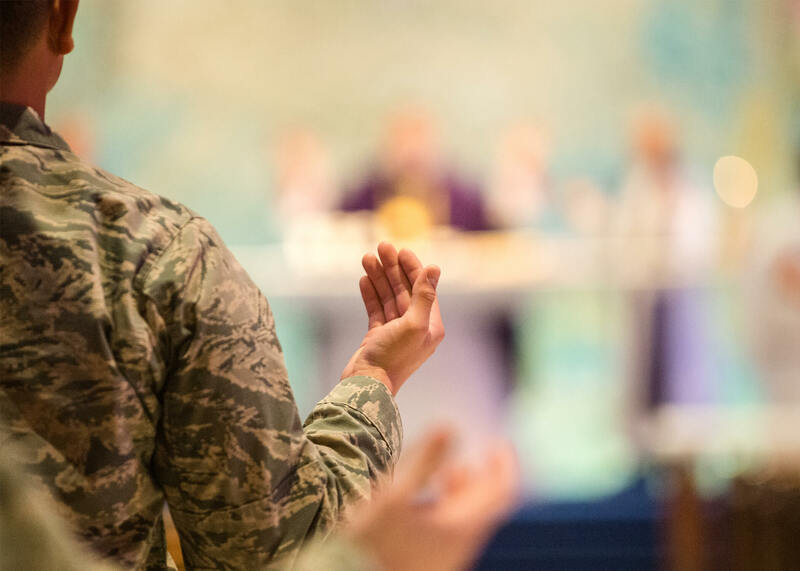 Whether exercising their own freedom of religion or learning to ensure the same freedoms for those they will lead in the Air Force, cadets have a robust group of faith communities to help them grow. All service times are subject to change, please contact (719) 333-2636 to verify service times for your visit. 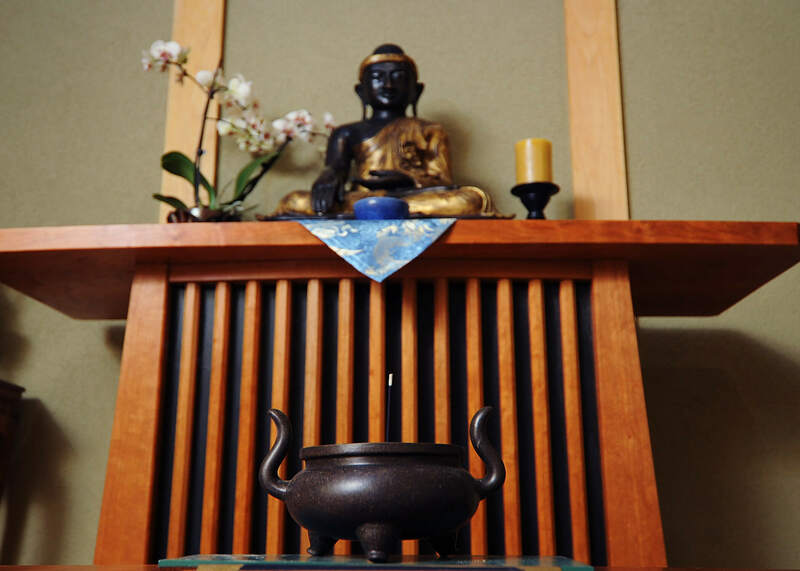 The Academy’s Buddhist community also offers Special Programs in Religious Education (SPIRE) every Monday. Cadets are also often called to create and lead sacred rituals, fostering an environment of collaboration and leadership. For more information, please contact Chaplain Streett at (719) 333-2636. For United States Air Force Academy cadets of Hindu faiths, opportunities to worship are available in the local Colorado Springs area. A Hindu point of contact exists for cadets to connect with for spiritual growth. 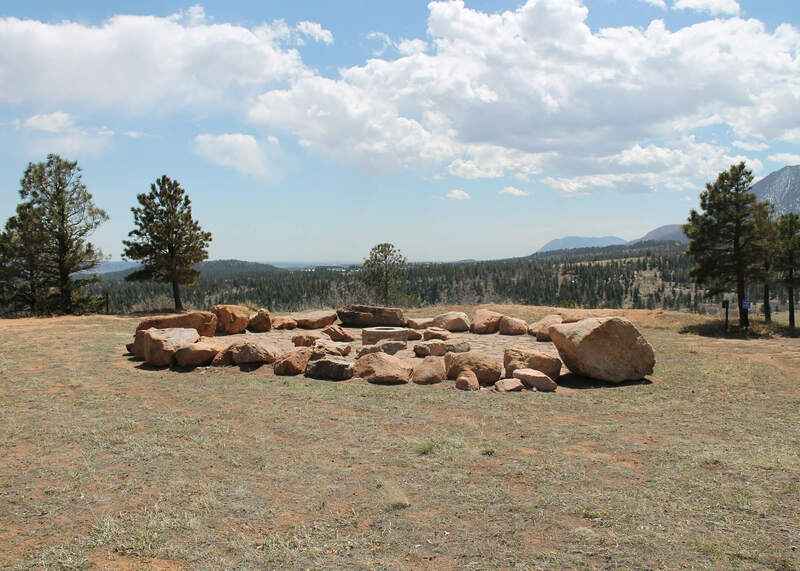 For information about the local Hindu spiritual contact and community, please contact Chaplain Streett at (719) 333-2636. The U.S. Air Force Academy’s Church of Jesus Christ of Latter-day Saints (CJCLDS) community is an active and growing organization. Led by CJCLDS Elder Lee and Sister Khris Lee, cadets have the opportunity to participate in Sunday services in the local wards and attend rejuvenating retreats. In addition, cadets can join the CJCLDS choir and religious education within Special Programs in Religious Education (SPIRE) is offered every Monday evening. For more information, please contact Elder Lee at (719) 333-2636. For United States Air Force Academy cadets of Orthodox faiths, opportunities to worship are available at an Orthodox church in the local Colorado Springs area. During Basic Cadet Training (BCT), an Orthodox priest is present to lead services for cadets and provide religious education. The Academy’s Orthodox community also offers Special Programs in Religious Education (SPIRE) every Monday. The Protestant community at the United States Air Force Academy is home to a vibrant group of cadets that offers worship services (traditional and contemporary), community building, retreats, pastoral care and religious education. Protestant chaplains are always available to provide prayer, counseling and encouragement to cadets. Organizational and leadership skills are sharpened outside of worship through planning and executing two annual retreats and leading the Cadet Catholic Parish Advisory Council. The Catholic Chaplains are always available for spiritual direction, confessions, prayer, counsel, support and encouragement. note: There will be no mass on the 24th and 31st of March. For United States Air Force Academy cadets of Sikh faith, opportunities to worship are available in the local Colorado Springs area. A Sikh point of contact exists for cadets to connect with for spiritual growth. For information about the local spiritual Sikh contact and community, please contact Chaplain Streett at (719) 333-2636. Cadets are always encouraged to explore their own religious traditions. For other faith groups at the United States Air Force Academy that do not have a chaplain representative or Distinctive Religious Group Leader to lead their program, such as Hinduism and Sikhism, cadets are connected with local worshiping communities of that faith.